Possession charges, including those involving drug paraphernalia are enforced in North Carolina. That includes the prosecutorial districts in Charlotte, Union County, and Iredell County, where our law firm helps people with both felony and criminal charges. 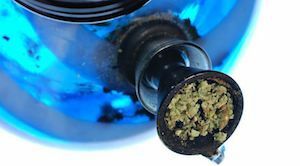 Whether you agree with the laws, especially those involving possession of marijuana and possessing marijuana paraphernalia, you should take the charges seriously. Judges, prosecutors, and police officers do. considered a lesser included offense of possession of drug paraphernalia per N.C.G.S. 90-113.22. Before you talk with the police, talk to a lawyer. Even a relatively simple charge of drug possession can have long term consequences. It may interfere with college applications and even job prospects. We understand a lot of people are used to certain legalized drugs in other parts of the country. North Carolina, while progressive in many areas, is not a state where marijuana is generally accepted, even when medically necessary and/or appropriate. There is one notable exception to the NC marijuana laws and that involves the Epilepsy Alternative Treatment Act . EATA authorizes hemp extract in the treatment of epilepsy, only if recommended by a licensed neurologist. Protection under the law requires a formal diagnosis of epilepsy and continued care by a neurologist approved by the State of North Carolina. It's not automatic. That physician must have tried at least 3 or more other treatment options regarding the epilepsy and those efforts have failed. Patients are required to have a legal guardian, parent, or custodian register as a caregiver who proceeds on the patient's behalf. The caregiver and patient are only allowed to possess hemp extracts with greater than 5% Cannabidiol (CBD). There must also be less than .9 percent Tetrahydrocannabinol (THC), which do not cause psychoactive effects. Furthermore, the hemp extract cannot be from North Carolina. It must be procured from outside the state. As such, there is no legal mechanism for dispensing or cultivation of medical cannabis. That leaves providers with no legal protections against the NC criminal laws. At Powers Law Firm PA, we understand facing criminal charges can be a difficult and stressful time. We're here to help, with straight answers and a strong defense, never judgmentalism. When you work with Powers Law Firm, we offer experience, compassion, and sound legal advice. Our criminal defense team is led by attorney Bill Powers, a board-certified criminal law specialist by the National Board of Legal Specialty Certification / National Board of Trial Advocacy. If you'd like more information about awards, certifications, and legal accolades, check out his attorney profile page at Super Lawyers Magazine. What types of Drug Charges do you handle? Whether you face a misdemeanor or felony drug charge, you can count on your Powers Law Firm defense attorney to listen, to explain your defense options, and to provide you with a thoughtfully presented, professional defense. If your child or someone you love has been arrested, we understand the sentencing options and treatment programs available for first-time offenders in the Charlotte-metro region. We'll explore and review with you any potential options such as Deferred Prosecution, "Deferred Lite," CBI Cognitive Behavioral Intervention, Drug Treatment, Community Service, etc., working to minimize (if otherwise eligible for such programs) the damage that a drug charge can have on a young life. We're concerned about your best interests. Call now for a free, confidential consultation with an experienced defense attorney.